The museum's work has been recognised and celebrated through a range of award wins, shortlists and nominations. Commended by the judges: Best Contribution to a Heritage Project by Young People, People’s History Museum and Falinge Park High School for their project exploring ideas of representation. The Historic England Angel Awards celebrate the efforts of people taking action to champion their local heritage. Celebrating people, groups and organisations who made culture buzz in Manchester during April 2017 to April 2018. Winner: Heritage, Museum, Library and Education Partnership Award, PHM in partnership with Manchester Secondary Pupil Referral Unit, for the artist-led project Who Represents Me; a bold, colourful and powerful piece of artwork featuring as part of the exhibition Represent! Voices 100 Years On. These awards shine a light on those individuals, schools and organisations that have gone above and beyond in their work to bring the benefits of great arts and culture to the region’s children and young people – celebrating and championing best practice and innovation in the sector. The National Democracy Awards, first held in the 100th year of the first women gaining the right to vote, highlight the work of national leaders in democratic engagement. Over 40,000 votes were cast in the 2018 Hoop Awards to find the UK’s favourite kids’ activities and celebrate the people and organisations that go above and beyond to entertain, educate and inspire children. Museums + Heritage Awards for Excellence 2018. The Museum + Heritage Awards recognise projects of excellence, innovative and ground-breaking inititiatives from galleries and visitor attractions across the UK and overseas. The Family Friendly Museum Award is Britain’s only museum award where families pick the winner. Over 700 nominations from families and museums were whittled down to a shortlist of ten, which were then road-tested by family judges against the eight points in the Kids in Museums Mini Manifesto. 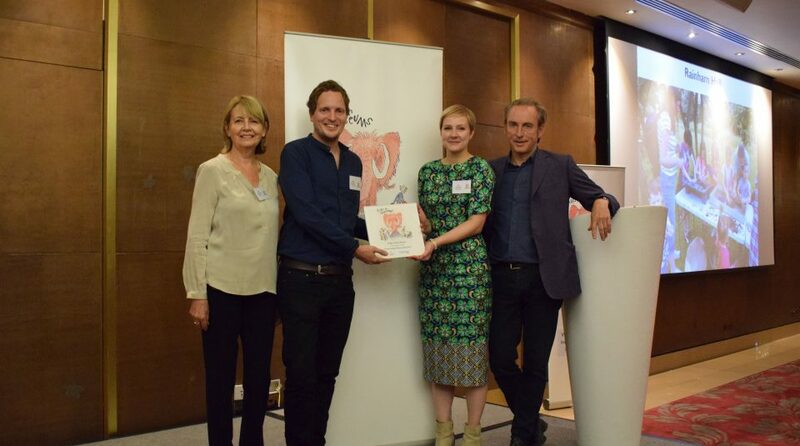 This award is run in partnership with the British Museum and recognises the best and most innovative ways in which volunteers work within local and national museums and galleries to engage the public with collections and exhibitions. The Northern Soul Awards celebrate and reward cultural and artistic excellence in the north of England. The Museum + Heritage Awards celebrate best practice within the world of museums, galleries, cultural and heritage visitor attractions, attracting hundreds of entries which battle it out to win one of 11 prestigious awards. 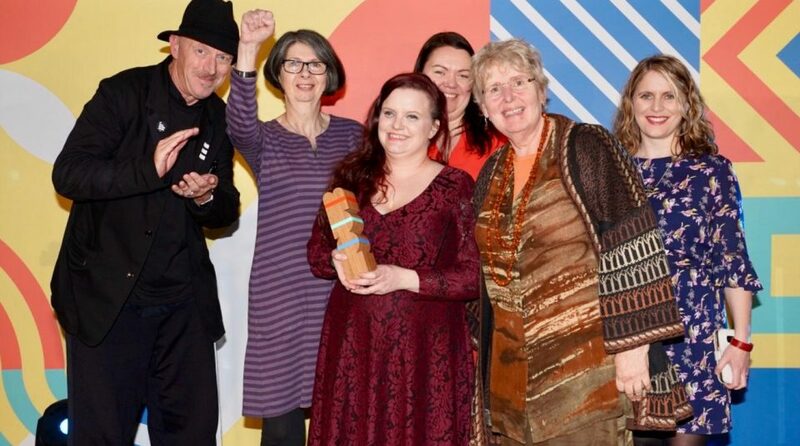 The Museums + Heritage Awards celebrate best practice within the world of museums, galleries and heritage visitor attractions, attracting hundreds of entries which compete to win one of several prestigious awards. VisitEngland Accolades are awarded in recognition of the quality visitor experiences on offer. Highlighting those elements that matter most to visitors, including the warm welcome on arrival, the presentation of the collections, the storytelling and the quality of the tea and cake, the accolades recognise those attractions going the extra mile to create an enjoyable and memorable visitor experience. The annual Museums + Heritage Awards for Excellence recognise projects of excellence, innovative and groundbreaking exhibitions from galleries and visitor attractions across the UK and Europe. Guardian Culture Pros Pick is an award for the UK’s most inspiring museum or heritage visitor attraction of the year, voted for by the public. The Drum Design Awards recognise great design being produced by agencies across the whole of the UK, giving the opportunity for great craft, design and execution to be rewarded. The awards are open to all design consultancies, advertising agencies, digital agencies, creative agencies, media owners, in house teams, freelancers or clients who work within the design discipline. The Manchester Tourism Awards celebrates tourism excellence across Greater Manchester. Organised by Manchester City Council in partnership with Groundwork, the Environmental Business Pledge is a free advice and award scheme designed to help organisations in Manchester improve their environmental performance and generate cost savings. Organised by Prolific North. Leading brands and organisations along with marketing, creative and digital agencies from across the north submit entries for 20 award categories. The Museums + Heritage Awards celebrate best practice within the world of museums, galleries and heritage visitor attractions, attracting hundreds of entries which compete to win one of 13 prestigious awards. Founded in 1977 under the auspices of the Council of Europe with the aim of recognising excellence in the European museum scene and encouraging innovative processes. The museum was one of only four museums in Europe to receive the accolade, reserved for the most innovative and enterprising museums in Europe. The Civic Trust Awards is an independent built environment awards scheme established in 1959 to recognise the very best in architecture, design, planning, landscape and public art. The Art Fund Prize 2011 rewards excellence and innovation in museums and galleries across the UK for a project completed or undertaken in 2010. The museum was one of only ten museums across the country that was successful in reaching the longlist. The Museums + Heritage Awards celebrate best practice within the world of museums, galleries and heritage visitor attractions, attracting hundreds of entries which compete to win one of ten prestigious awards. The prestigious property-based contest celebrates inspirational initiatives in the land, property and construction sectors and 44 shortlisted projects from all over the North West were hoping to win one of nine coveted RICS accolades. The Engineering Excellence Awards recognise the very best that consultancy and engineering has to offer. The Manchester Food and Drink Festival Awards provide a benchmark for excellence in the hospitality industries throughout Greater Manchester. The Greater Manchester Chamber of Commerce awards are given in recognition of key construction projects in Greater Manchester. The DADIs (The Drum Awards for the Digital Industries) recognise and reward digital excellence. These awards are open to any business, including agencies and clients, who are producing effective digital strategies.